Please bring your portable gear and related information. Time permitting there will be code practice. 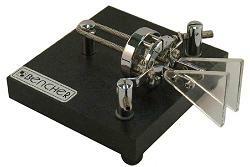 RaRa XARC CW Group is a joint project of the Rochester Amateur Radio Association and the XRX Amateur Radio Club to help fellow hams learn Morse Code and promote CW operation. All are welcome to join – anytime. Start when you are available and progress at your own pace. It is not a class but a group effort. As presenters and topics are available there will be more monthly meetings.